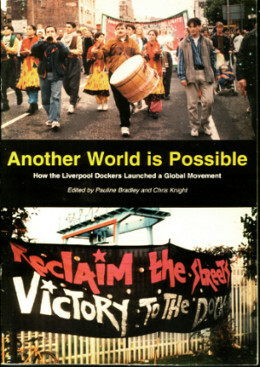 Another World Is Possible – How the Liverpool Dockers Launched a Global Movement” was written by sacked Dockers Tony Nelson, Mickey Tighe and Nick Silvano, plus John Pilger and from the London Support Group for the Liverpool Dockers: Alan Woodward, John Davies, Bronwen Handyside, Liz Knight, Chris Knight and Pauline Bradley. 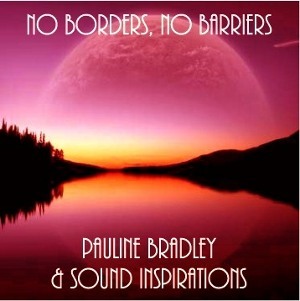 Pauline Bradley and Professor Chris Knight edited the pamphlet. “Another World Is Possible – How the Liverpool Dockers Launched a Global Movement” contains many colour photographs; interviews with sacked Dockers, their wives and partners from Women of the Waterfront. It tells the story of how 500 Liverpool Dockers were sacked for refusing to cross a picket line, and their momentous, global struggle for reinstatement. Freedom and Independence – Come All Ye was written at the request of Yes Scotland activists, campaigning for an independent Scotland. The tune is an old pipe tune, which was used by Hamish Henderson in his radical anti First World War song Freedom Come All Ye. In the folk tradition, Freedom and Independence – Come All Ye is an updated version of this song, and as Hamish Henderson was a supporter of Scottish independence; I hope he would approve of it too! I was greatly assisted in the writing of this by Leanne McMurtrie and her son Kevin Scullion, both who are fantastic singers and recording artists. Kevin’s band “The Singer Swingers” are very popular, especially for weddings and are making fantastic progress, see www.thesingerswingers.com Together with Leannes brother Eddy Coyle, we sang the song and after weeks of practicing, Kevin recorded us in my living room. We use the name “The Hame’ll Dae Mee’s” meaning home will do us in Scots! Others as well as ourselves are singing the song live at Yes Scotland events.